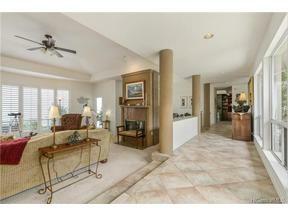 Custom built home located in the gated community of Kohala Ranch. Main house (4100 sq ft) has 3 bedrooms, 3 full and 2 half baths, sunken living room, dining room and office. Kitchen with all updated appliances and family room with private entrance. Ohana house ( 900 sq ft) has 2 bedrooms, 1 full bath, full kitchen, living room and dining area. (Great rental on AirBNB). 3000 sq ft barn with center isle, 8 stalls, tack room, storage room, office and full bath. 12.87 acres fully fenced with several pastures and riding ring. Heated salt water pool, updated landscaping and custom built fire pit. Ocean, Coast, Mountain and Sunset views from most rooms in the house.